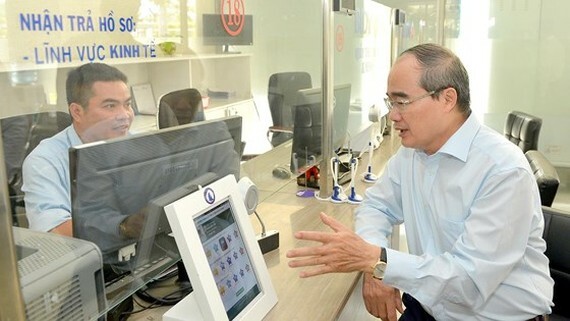 Some local administrations announced 80 percent – 90 percent of Ho Chi Minh City residents and organizations satisfied with public services whereas in reality, a pilot survey conducted by the Vietnam Fatherland Front has shown lower rate approximating only 50 percent. 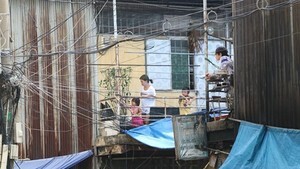 Chairwoman of the Vietnam Fatherland Front Committee in Ho Chi Minh City To Thi Bich Chau said the pilot survey has been conducted in the municipal Department of Construction, the Department of Planning and Investment, in district 1, 12 and Hoc Mon outlying district. Survey participants gave their answers on service access and use, service price, service quality and public servant’s behaviors at meeting with residents. In the first quarter of 2018, over 38,000 residents used public service; however, just 1,264 people agreed to enter the survey of public servant’s behaviors, quality of public services, how many times they had to travel to finish administrative procedures and transparence of financial issue. All of these areas continue to receive mean ratings of nine to ten for satisfaction and from one to six point scale for disappointment. The rate of residents' satisfaction with service provided by the Department of Planning and Investment was 47 percent, while it was 54 percent, 57 percent and 46 percent for the Department of Construction in district 12, district 1 and Hoc Mon respectively. The survey result well matched with the rate of resident and organization’s satisfaction on administrative procedures (around 50 percent). Ms. Chau pointed out 13 reasons why city dwellers are not satisfied with public services including bureaucracy, ambiguous services, public servants’ bad behaviors and unprofessional service. Worse, city dwellers complained of delay of giving documents and corrupted servants, she said.